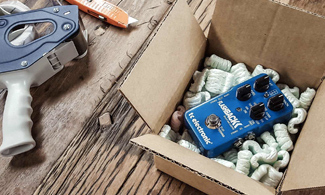 Whether you’ve been selling gear on Reverb for a while or you’re thinking about getting started, the Seller Hub has everything you need to build a successful Reverb shop. Explore our latest seller features, best practices, and seller policies. It’s all right here. The Preferred Seller Badge is the premier badge of honor for Reverb sellers. It encourages buyers to purchase from you – they can even search specifically for products sold by Preferred Sellers! The Quick Shipper Badge shows buyers that you ship orders promptly and provide outstanding service. You must have shipped at least 3 orders total, have shipped at least 3 orders in the last 90 days, and have an average order ship time of under 24 hours in the last 90 days to receive the badge. The Quick Responder Badge shows buyers that you answer messages and offers promptly. You must have responded to at least 5 offers, have responded to offers in under 8 hours (on average), and have responded to messages in under 16 hours (on average) to receive the badge. Reverb.com offers the best variety of tools to buy and sell gear and the lowest listing fees of any major site. As musicians and gear lovers, we want to foster a community and make Reverb the best place to purchase music gear online. Reverb Protection shields buyers from fake, faulty, or falsely advertised items and sellers from fraudulent purchases. We're committed to ensuring that every sale is completed to the full satisfaction of both buyer and seller. Learn about all fees associated with selling and processing payment. Offer Affirm Financing to provide a simple way for your customers to finance purchases at no cost to you. Reverb Payments provides the simplest checkout experience with the safety of Reverb Protection. When you sell something on Reverb via our Reverb Payments payment system, you have the option of keeping the funds on your account in the form of Reverb Bucks. Find out the many benefits to using this payout method. The Price Guide is the ultimate resource to find pricing and information on the wide world of music gear. The price ranges you'll find are based on real-time transactional information and are intended to represent the current value for specimens in used but original condition. How old is my gear? Where did it come from? 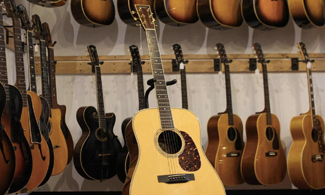 Whether you inherited your instrument or bought it at a swap meet, you're probably curious about its provenance. You're a Reverb seller now. Outstanding! Now let's make sure you have all of the tips and tools you need to build a great shop and start making money selling on Reverb. Smartphone cameras have come a long way. Used to be that so-called serious photographers shunned any shots taken on something that could also be used to call grandma. 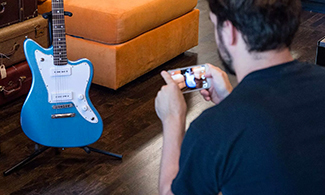 These days, all it takes is a modern smartphone take exceptional images of your gear. So you've taken some great photos, written an epic description and are just about ready to hit submit on your new Reverb listing. But what's this? You don't know what to choose where it says condition. As you might expect, we get a lot of questions about vintage guitars, and have compiled some of the most common ones into this handy guide. 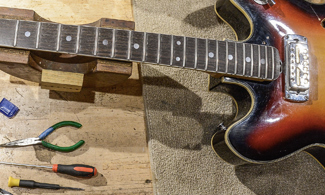 So read on for an introduction to the fascinating realm of vintage guitars. Protect yourself if your package is lost or damaged during shipment for only a fraction of the item sale price. Buy Reverb Shipping Protection when you buy shipping labels through Reverb. As the number of items being posted on Reverb has grown, we've heard many sellers asking for ways to promote their listings. Now with the option to pay for Bumps, any seller on Reverb can bump their listings to get more exposure. The Reverb Import tool is the easiest and most efficient way to manage and update your inventory. By using a simple spreadsheet format, you can quickly add new items to your Reverb shop and update existing listings with a single click. Watch a quick how-to video on importing listings. The Reverb App Store is a collection of free and paid plugins that extend the functionality of your Reverb account. You grant apps access to read your Reverb data and take actions on your behalf. Reverb has partnered with several ecommerce applications to let you easily sync inventory to and from Reverb, and streamline shipping. The Preferred Sellers Program brings a special set of benefits to proven Reverb sellers to help you grow their business. Drive transactions from your website or channel, get paid. It's that simple. Reverb welcomes buyers and sellers from all over the world. Take a look at some of the most frequently asked questions we get about sales and shipping, including international orders. Simply put, the more places you are willing to ship to, the more you’ll sell. Though many sellers find international shipping intimidating, it actually isn’t much more difficult than shipping locally. Paypal is available in 203 markets and 26 currencies, see the full list here. Find out customs laws in every country around the world. If you're interested in selling gear at a serious pace, you should look to pedals as your natural starting point. We want your listings to sell. Better photos are step one. No fancy photography rig required. Here are just a few of the most important things to keep in mind as you communicate with your buyers. Here are some steps you can take ensure your gear is as attractive as possible when selling on Reverb. Whether you need help using the site, assistance with a particular order, or expert advice, the Reverb team is always ready to help.